Punta Cana é um balneário localizado na República Dominicana, ilha integrante das Grandes Antilhas, na província de La Altagracia, onde o Oceano Atlântico encontra-se com o Mar do Caribe. Não há necessidade de visto para turista brasileiro, porém, é necessário pagar 10,00 U$ quando você desembarca no aeroporto, depois do pagamento, seu passaporte é carimbado, tudo fucionou rápido no dia em que chegamos lá. São muitos os resorts localizados nessa área. Aliás, a costa do país é pontilhada por mais de sessenta resorts. Fiquei hospedada no hotel Four Points Sheraton, integrante do Punta Cana Club & Resort, é o hotel mais próximo do aeroporto (uns 6 minutos) e que não estava localizado diretamente à beira-mar. Escolhemos esse hotel porque a parada em Punta Cana foi o ponto final de uma viagem pelos Estados Unidos e Canadá que durou quase 40 dias (veja os posts – Nova Iorque, Toronto, Nuir Woods, Las Vegas I e Las Vegas II, Parque Nacional da Baía do Glaciar , Glaciar Hubard no Alaska, relacionados com essa viagem). Bom, voltando a Punta Cana, o nosso hotel, inserido no Punta Cana oferece transfer para a Playa Blanca, Hotel Westin, Club de Golf, Restaurante La Yola e reserva floresta Olhos Indígenas. Punta Cana é um destino para você descansar. Funciona assim: você escolhe o resort que esteja com preço adequado para seu bolso, com sistema All Inclusive e aí você passa uma semana somente descansando no seu hotel e nas proximidades. No próprio hotel há informações sobre tours que você pode fazer fora do resort, que são passeios para mergulhar, fazer snokerling, passeios de barco, dentre outros. Há também um tour para ir até a cidade de São Domingos, capital da República Dominicana. São três horas para ir e 3 para voltar. Se você estiver disposto(a) a passar 6 horas dentro de um ônibus, então, vá nessa…Santo Domingo tem o centro histórico integrante da lista de bens culturais tombados pela UNESCO. Eu fiquei encantada com a Playa Blanca, onde você tem acesso à praia através de um restaurante que oferece o conforto necessário o turista aproveitar o dia, com espreguiçadeiras, som longe na beira da praia, coqueiros, além de um mar azul,fabuloso, areia branquinha e garçons simpáticos. Aliás, falando de garçons, a conta vem em peso dominicano, euro e dólar americano. Você escolhe como quer pagar. A conta já vem com os 10% do serviço incluso. Porém, recomenda-se pagar 10% a mais como gorjeta extra, calculada em cima do valor total da conta sem as taxas. Se você pagar em dólares, você recebe o troco em dólares. Outro aspecto que me chamou a atenção, foi a simpatia do povo, me lembrou a receptividade dos brasileiros. Punta Cana e outros lugares praianos na República Dominicana é definitivamente um destino recomendado para quem quer passar uns dias de sossego e paz com paisagens paradisíacas. Mais uma informação importante: evite viajar para lá nos meses de agosto, setembro, outubro e novembro, pois há riscos de furacão. O período de alta estação começa no Natal e se estende até o mês de abril quando chove menos e os preços são mais caros, preço de alta estação turística. Importante: o desembarque no aeroporto de Punta Cana é tumultuado, motoristas de táxis e de vans abordam os turistas de forma agressiva. Por isso, recomendo que você organize o transfer até seu hotel com antecedência. Fora esse inconveniente, achei tudo muito bom! 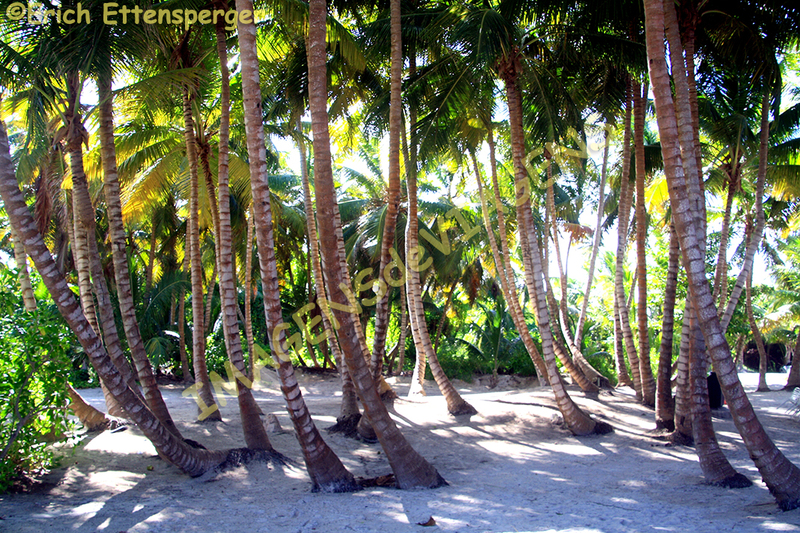 Punta Cana ist ein Badeort der Dominikanischen Republik, (eine Insel der Großen Antillen), in der Provinz La Altagracia gelegen, genau dort, wo der Atlantik und die Karibik aufeinandertreffen. Es gibt viele Ferien-Resorts in dieser Gegend. In der Tat ist die Küste des Landes von mehr als sechzig Resorts punktiert. 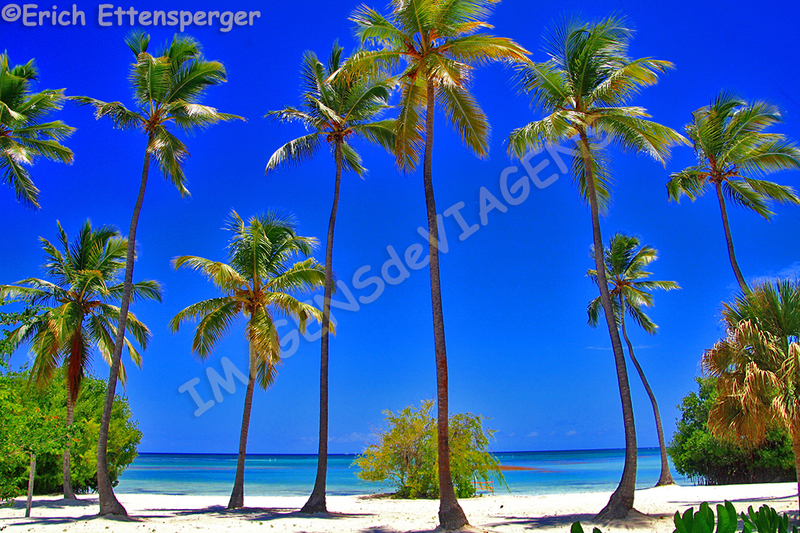 Wir übernachteten im Four Points Sheraton, einem Mitglied des Punta Cana Club & Resort, welches das nächstgelegene Hotel zum Flughafen ist (ca. 6 Minuten) und nicht direkt am Meer liegt. Wir entschieden uns für dieses Hotel, weil der Stop in Punta Cana unser Endpunkt einer fast 40-tägigen Reise durch die Vereinigten Staaten und Kanada war (siehe Blogs zu dieser Reise: Nova Iorque, Toronto, Nuir Woods, Las Vegas I e Las Vegas II, Parque Nacional da Baía do Glaciar , Glaciar Hubard no Alaska ). Unser Hotel in Punta Cana offeriert einen Transferzum Strand Playa Blanca, zum Westin Hotel, zum Golf Club, zum La Yola Restaurant und zum Waldreservat Olhos Indígenas. 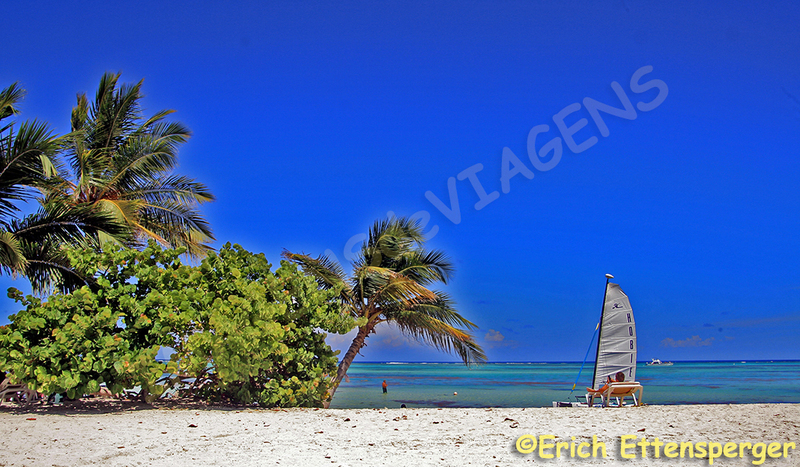 Punta Cana ist ein Ziel zum Ausruhen, zum Relaxen. Es funktioniert so: Sie wählen das Resort, das Ihren Geld-Vorstellungen mit All-Inclusive-System entspricht, und dann verbringen Sie eine Woche nur in Ihrem Hotel und in seiner Umgebung zum Relaxen. Im Hotel selbst gibt es Informationen über Ausflüge, die Sie außerhalb des Resorts unternehmen können, darunter auch Tauchen, Schnorcheln, Bootsfahrten. Es gibt auch eine Tour in die Stadt Santo Domingo, der Hauptstadt der Dominikanischen Republik. Es sind jeweils drei Stunden hin und zurück. Falls Sie also bereit sind, 6 Stunden in einem Bus zu verbringen, dann also los…das historische Zentrum von Santo Domingo findet sich in der Liste der Kulturgüter der UNESCO. Ich war begeistert vom Strand Playa Blanca, wo man den Zugang zum Strand durch ein Restaurant findet, das den Besuchern den notwendigen Komfort bietet für den Tag am Strand mit Liegestühlen, Musik, Kokospalmen und einem fabelhaften blauen Meer, weißem Sand und freundlichen Kellnern. Apropo Kellner, die Rechnung kommt in Dominikanischem Peso, Euro und US-Dollar. Sie wählen, wie Sie bezahlen möchten und die Rechnung beinhaltet bereits 10% Service. Es wird jedoch empfohlen, 10% mehr als Extra Trinkgeld zu geben. 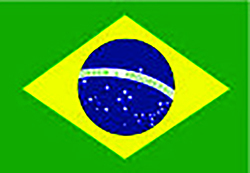 Ein weiterer Aspekt, der meine Aufmerksamkeit auf sich zog, war die Freundlichkeit und Sympathie der Menschen, die mich sehr an die Gastfreundschaft der Brasilianer erinnerten. Punta Cana und andere Orte in der Dominikanischen Republik sind definitiv ein geeignetes Ziel für diejenigen, die ein paar Tage Ruhe suchen und diese in einer paradiesische Landschaft verbringen möchten. Noch eine wichtige Information: Vermeiden Sie Reisen in den Monaten August, September, Oktober und November, da dann Hurrikan-Risiken bestehen. Die Hochsaison beginnt an Weihnachten und erstreckt sich bis zum Monat April, wenn es weniger regnet und alles teurer ist, Hochsaisonpreise eben. Wichtiger Hinweis: Am Flughafen von Punta Cana geht es nach der Landung turbulent zu, Taxi- und Minibus-Van-Fahrer offerieren den Touristen ihren Service fast schon in aufdringlicher, aggressiver Art und Weise. Daher empfehle ich, daβ Sie den Transfer zu Ihrem Resort/Hotel schon im Voraus arrangieren. Ansonsten fand ich alles sehr gut! Punta Cana is a Dominican Republic (an island of the Greater Antilles) seaside resort, located in the province of La Altagracia, right there where the Atlantic and Caribbean meet. There are many holiday resorts in this area. In fact, the coast of the country is dotted by more than sixty resorts. We stayed at the Four Points Sheraton, a member of the Punta Cana Club & Resort, which is the closest hotel to the airport (about 6 minutes) and is not located right at the ocean. 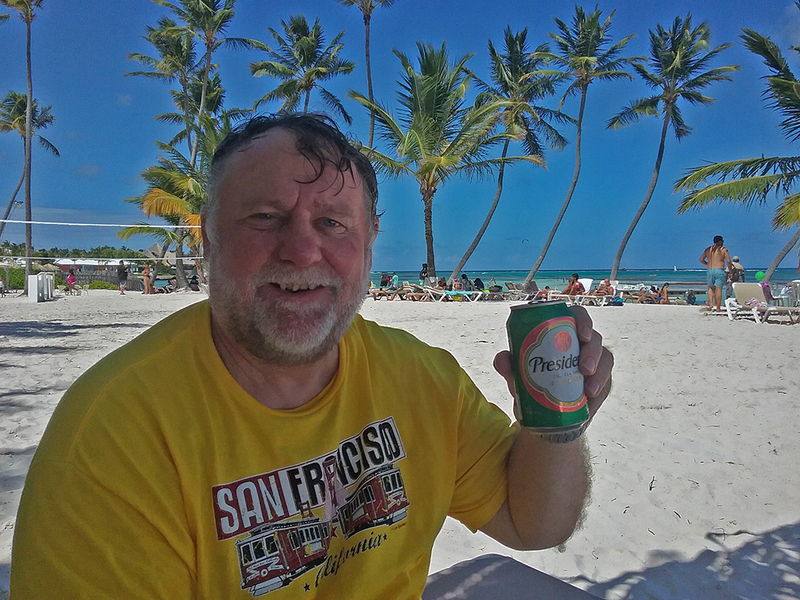 We chose this hotel because the stop in Punta Cana was our end point on our almost 40-day trip across the United States and Canada (see blogs for this trip: Nova Iorque, Toronto, Nuir Woods, Las Vegas I e Las Vegas II, Parque Nacional da Baía do Glaciar , Glaciar Hubard no Alaska). Our hotel in Punta Cana offered transfers to Playa Blanca, Westin Hotel, Golf Club, La Yola Restaurant and the Forest Reserve “Olhos Indígenas”. Punta Cana is a real destination to rest, to relax. It works like this: You choose the resort that suits your money plans with all-inclusive system, and then spend a week just relaxing in your hotel and its surroundings. 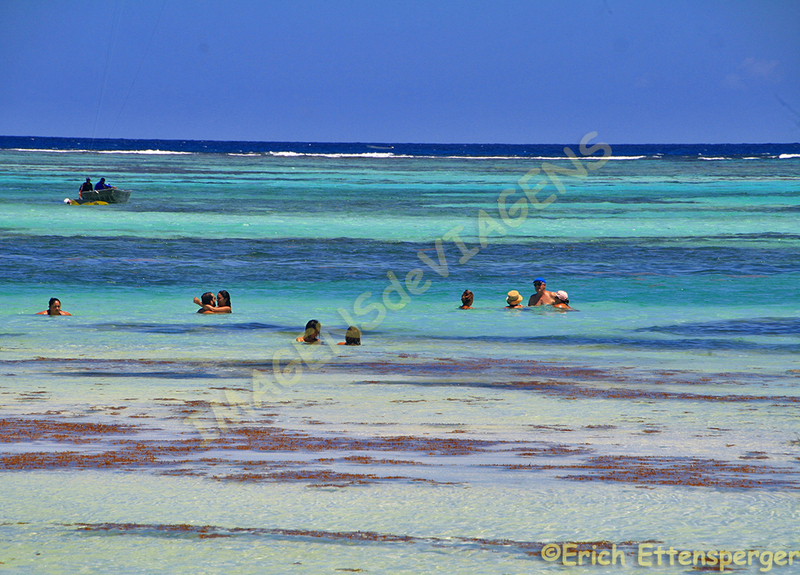 The hotel itself provides information about out-of-resort excursions, including scuba diving, snorkelling, boat trips. 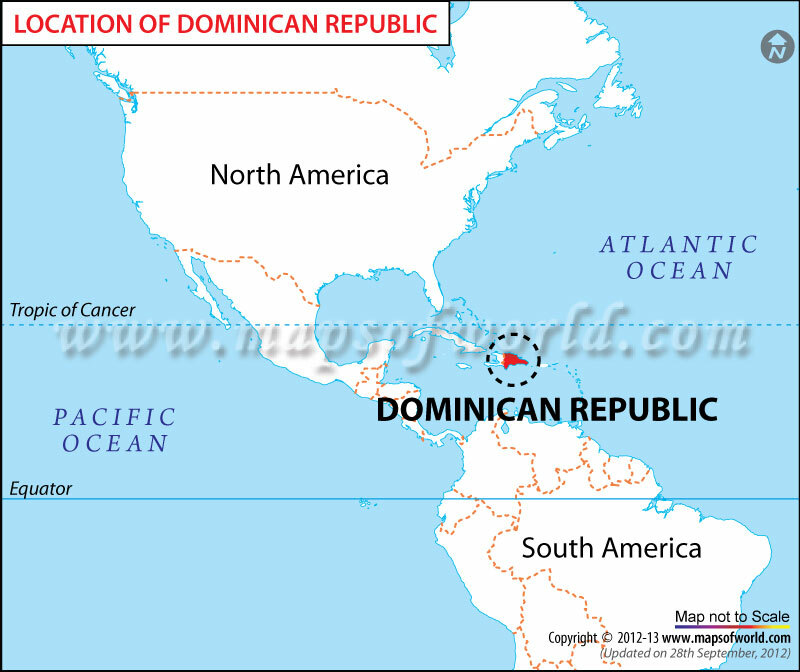 There is also a tour to the city of Santo Domingo, the capital of the Dominican Republic. There are three hours each way back and forth. 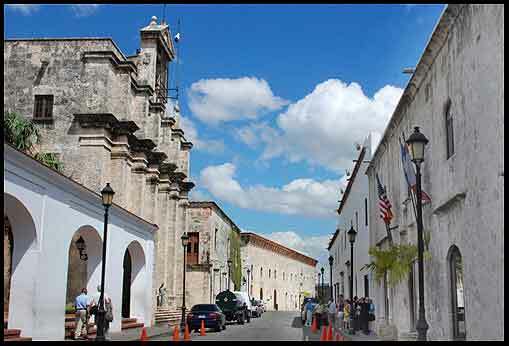 So if you’re ready to spend 6 hours on a bus, then go … the historic center of Santo Domingo is on UNESCO’s list of cultural assets. 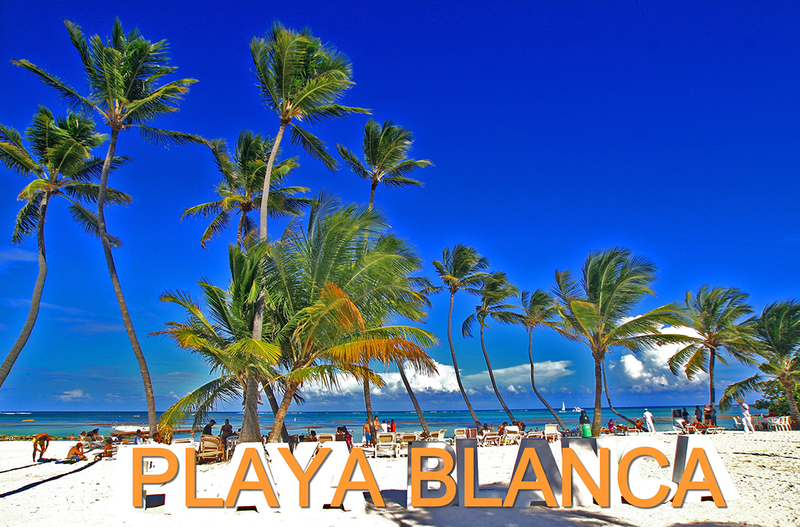 I loved the Playa Blanca beach, where you can find access to the beach through a restaurant that offers the necessary comfort for the day on the beach with sun loungers, music, coconut palms and a fabulous blue sea, white sand and friendly waiters. Apropo waiters, the bill comes in Dominican Peso, Euros and US Dollars. You choose how you want to pay and the bill already includes 10% service. However, it is recommended to tip 10% extra more. Another aspect that attracted my attention was the friendliness and sympathy of the people, who reminded me a lot of the hospitality of the Brazilians. Punta Cana and other places in the Dominican Republic are definitely a suitable destination for those who are looking for a few days rest and want to spend them in a paradisiacal landscape. One more important piece of information: Avoid traveling in the months of August, September, October and November, as there are hurricane risks. The high season starts at Christmas and extends to the month of April, when it rains less and everything is more expensive, high season prices. Important note: At the airport of Punta Cana there is a turbulent atmosphere after landing, taxi and minibus van drivers offer the service almost in an obtrusive, aggressive manner. Therefore, I recommend that you arrange the transfer to your resort / hotel in advance. Otherwise, I found everything very good!